Knowing how much Brian Wilson means to me, my brother bought me a ticket to his Pet Sounds 50th Anniversary World Tour show for my birthday. Pet Sounds? 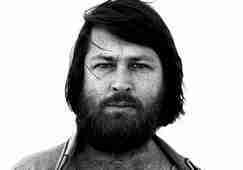 Released by The Beach Boys in 1966, it truly is a Brian Wilson solo album. Rolling Stone ranks it second on its list of the 500 Greatest Albums of All Time. 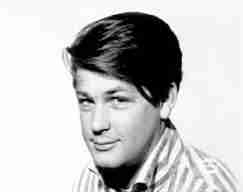 Brian Douglas Wilson was born in Inglewood, CA in 1942. Brian, his two brothers, a cousin, and a friend first performed as a group, which became The Beach Boys, in 1961. The rest is rock-and-roll history. 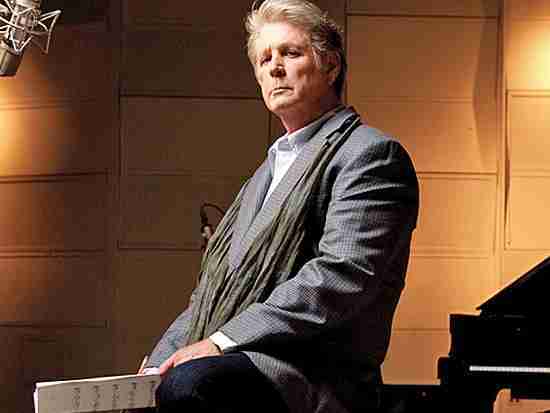 Brian Wilson’s use of unorthodox methods of composition and instrument selection, as well as his other-worldly harmonies, made him one of the most creative and influential pop music figures in the latter half of the 20th century. And his singing voice was angelic. …it was Pet Sounds that blew me out of the water. First of all, it was Brian’s writing. I love the album so much. I’ve just bought my kids each a copy of it for their education in life – I figure no one is educated musically ’til they’ve heard that album. I was into the writing and the songs. Seems Brian’s emotional/mental woes began to present around age 21 when, according to his report, he began hearing voices and screaming in his sleep. In short order, he quit touring after experiencing a massive panic attack on a flight with the band. Going into his mid-20s, Brian’s voices transitioned from rather indistinct to fully formed speech that reminded him of critical remarks made by his father. Accompanying were paranoid beliefs and delusions. For instance, Brian would only conduct business in his swimming pool because he believed his house was filled with hidden recording devices. Over time, the voices grew more frightening, threatening to kill Brian and his family. In telling Brian’s story, we can’t exclude the devastating impact of substances: cannabis, cocaine, amphetamines, alcohol, heroin, nicotine, caffeine, sleeping pills, LSD. Interesting – he wrote “California Girls” after his first acid trip. When Brian was 31, his father died. In response, for two years he secluded himself in the chauffeur’s quarters of his estate – sleeping, using substances, exhibiting self-destructive behaviors, and overeating. Brian’s weight shot-up past 300 pounds. Needless to say, he was lost, out-of-control, and deteriorating rapidly. Frantic over Brian’s condition, his wife and family hired a “radical therapist.” Brian was 33. The treatment began to produce positive results; however, the therapist was fired in a year’s time because of a fee dispute. Brian’s condition continued its downward spiral and the same therapist was hired several years later. 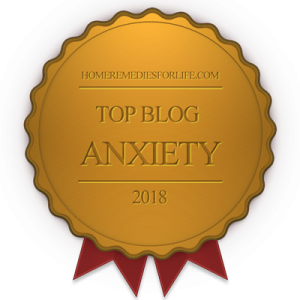 Again, the results were positive, but it seems the therapist had major boundary issues and an unquenchable thirst for money – to the tune of a $430,000 annual fee. Cutting to the chase, the therapist was not only fired, a restraining order from Brian was filed against him and he lost his license to practice psychology. 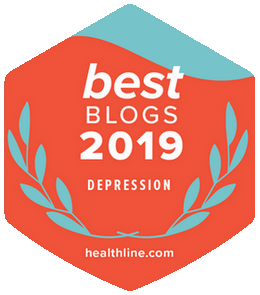 With the love and help of his wife, family, and friends, as well as legitimate psychiatric, psychotherapeutic, and medical care, Brian moved-on with his life. The featured image is Brian in the present. So back to the concert. It was, indeed, a spiritual experience. Thanks to my brother’s generosity, I was seated very close to the stage. What a thrill to see Brian in-person for the first time – and to feel the joy of the audience. It was loving and electric. But keep in mind, Brian still struggles mightily. He hears horrible derogatory voices throughout any given day, accompanied by intense fear – which triggers depression and high levels of stress. In fact, “the package” can present during concerts, accounting for an arms at his side meditative posture as he sits at the piano. Sadly and unfairly, this has been misunderstood as some degree of stupor. And I have to note that Brian’s angelic voice is no more. He still does lead vocals; however, it just isn’t the same. It’s thought that heavy cocaine use and chain-smoking are the culprits. But how ’bout this? Brian sings along, and when the falsetto parts arrive, a band member takes over – and it comes-off seamlessly. What better way to close than with some inspirational quotes from Brian? Every few minutes the voices say something derogatory to me, which discourages me a little bit. But I have to be strong enough to say to them, ‘Hey, would you quit stalking me? F*** off! Don’t talk to me – leave me alone!” I have to say these types of things all day long. It’s like a fight. I say, ‘We shall overcome.’ I use that all the time. We shall overcome all of the bad notions people have, the preconceived notions. Yes, I’ve been seeing a psychiatrist once a week for 12 years now, and he’s become a really close friend of mine. We talk and he helps me out. He tells me, ‘Well when you hear the voices, why don’t you make a joke and say to them, ‘How are you doing, Voices? How are you doing today?’ You know, talk humorously to them. I tried that out and it works a little bit. Can you detect a spirit of acceptance in Brian’s statements? Sure, he fights to coexist with the voices; however, he doesn’t fight for their complete cessation – to be “cured.” My gut is he knows better. And I believe acceptance (not acquiescence) is a huge recovery tool for anyone dealing with an emotional/mental disorder. Whenever my mood and anxiety leanings begin to get the best of me, I think of Brian. Yes, what he’s overcome, and deals with today, make my troubles seem small. But that isn’t really the point. After all, pain is pain. I turn to Brian because I know where he’s been and he made it out. And if he can pull that off, so can I. So can all of us. No set of circumstances is hopeless. Wrote a piece about Brian five years ago, entitled Brian Wilson: My Hero ‘”Til I Die.” The hero thing again, right? Well, at least I’m consistent with my admiration. Plenty more articles where this came from. Please take a look at the 686 titles.